Our versatile envelope clutch bag can be used for a variety of occasions or purposes. This bag is great as a travel case, laptop sleeve and also makes an attractive day clutch. 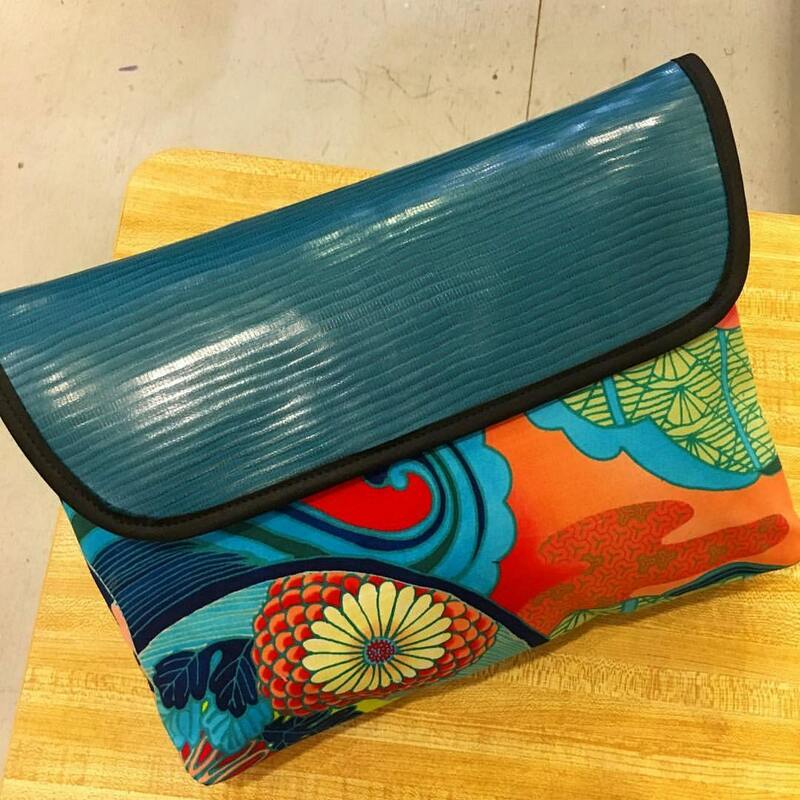 This bag is made with a green blue and red Asian floral cotton print as the base and a faux leather teal alligator flap. Its gorgeous! This case has a Velcro closure and one interior pocket and is lined with a water repellant canvas.